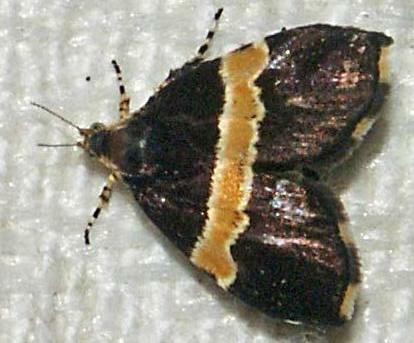 The adults have dark brown wings, with each forewing having a yellow bar across it. 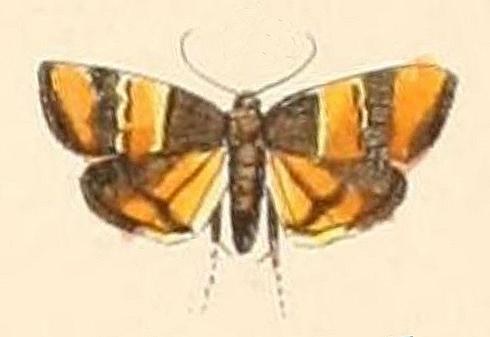 The hindwings each have a yellow patch. Melbourne University Press, 1990, pl. 7.1, p. 293. Band 2, Abtheilung 2 (1875), p. 18,, and also Plate 138, Fig. 19. LeapFrogOz, Kuranda, 2015, p. 22.